There's an exotic look to our Yuri collection. It's thanks to the colours mostly – this garden chair is bright in shades of blue. But the shape's unusual too, the concentric pattern is complemented with a dramatic curved shape. 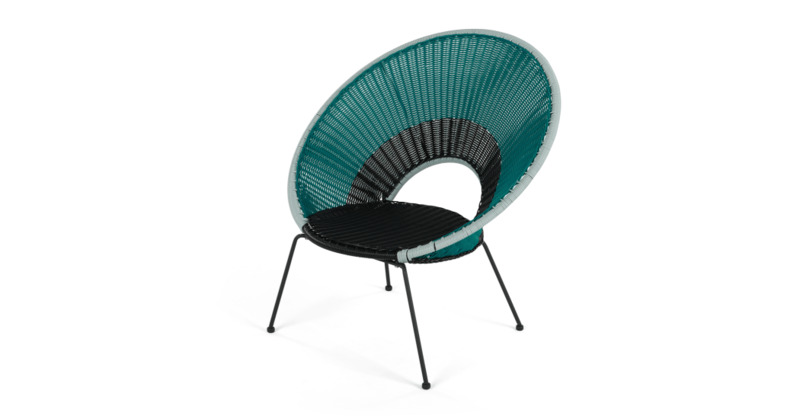 This lounge chair, with spaceto recline, adds instant energy to your outdoor space. Now your garden can reflect your personality too. Because of its design, you can leave this piece out all year round.